Below you will find List of Top ICSE Schools in Ernakulam 2019. Anita Public School is affiliated with the Council for the Indian School Certificate Examinations (CISCE), New Delhi. 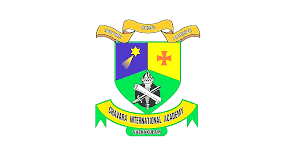 Chavara International Academy is a co-educational School following the ICSE syllabus and is managed by the Fathers of the Carmel Province of the Carmelites of Mary Immaculate (CMI). Founded in the year 2005, the Don Bosco Central School is a venture by the Salesians of Don Bosco. Jyothis Central School is a co-educational English medium day school which is affiliated to the Council for the Indian School Certificate Examinations (CISCE), New Delhi. Address : Manjapra, Kerala 683581.
nanodaya Central School is a secondary school affiliated to the Council for the Indian School Certificate Examinations (CISCE), New Delhi. Mary Ward English Medium School is a co-educational English medium school affiliated to the Council for the Indian School Certificate Examinations (CISCE), New Delhi. Rani Matha Public School is affiliated to the Council for the Indian School Certificate Examination, New Delhi and prepares students for the ICSE (10th - only boys) and ISC (12th – Co-ed) examinations conducted by the Council. Seventh Day Adventist High School is a co-educational English medium school affiliated to the Council for the Indian School Certificate Examinations (CISCE), New Delhi. Vimala Central School is a co-educational English medium day school which is affiliated to the Council for the Indian School Certificate Examinations (CISCE), New Delhi. Established in the year 2000, Santhome Central Schoolis affiliated with the Council for the Indian School Certificate Examinations (CISCE), New Delhi. The Indian Public School is affiliated with ISC and ICSE boards to offer the quality Indian education to the parental community. 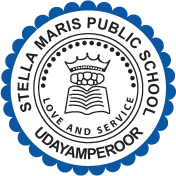 Promoted in the year 1999, Stella Maris Public School is an English medium school owned and run by the Congregation of Mother of Carmel (CMC) Vimala Province, Ernakulam. Founded in the year 2005, Santhi Vidyalaya is affiliated to the Indian Council for Secondary Examinations, New Delhi.